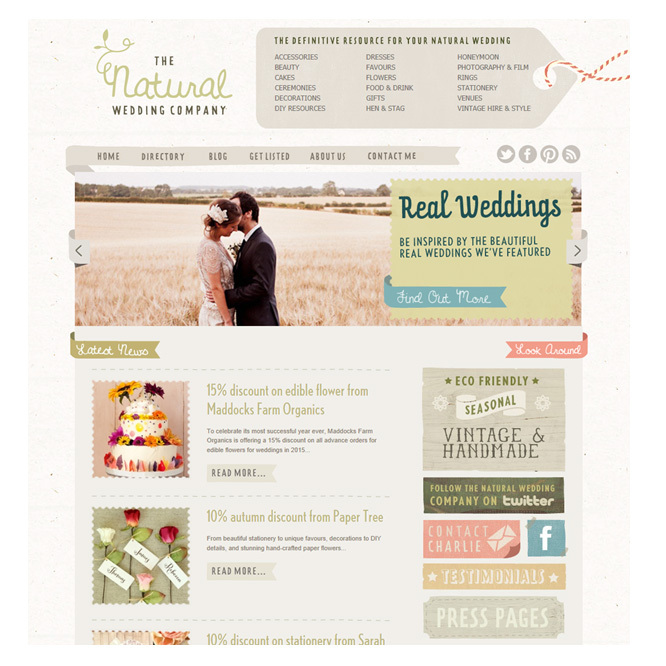 The Natural Wedding Company is a fantastic resource for eco-friendly, vintage and rustic style weddings. Paper Tree has been one of their recommended suppliers for several years now. This Autumn we are offering a 10% discount during October and November for orders over £50 to all Natural Wedding Company brides and grooms, please use the code NATWED10 when checking out. This entry was posted in Latest News, Uncategorized and tagged natural wedding.